The Eastern Army commander lieutenant general M M Naravane who arrived in Imphal on a three-day visit to review the security situation in Manipur and also along the Indo-Myanmar border called on state governor Dr Najma Heptulla and chief minister Nongthombam Biren Singh separately on Tuesday. Lieutenant general M M Naravane met governor Dr Heptulla at Raj Bhavan. He was accompanied by general officer commanding (GOC) lieutenant general Rajeev Sirohi of Spear Corps and inspector general major general K P Singh of Assam Rifles (South), informed Assam Rifles (South) PRO in a press release. “The Army commander apprised the governor of the actions being taken by the Indian Army and Assam Rifles in coordination with other agencies, towards maintenance of peace and security in the state,” the release said. 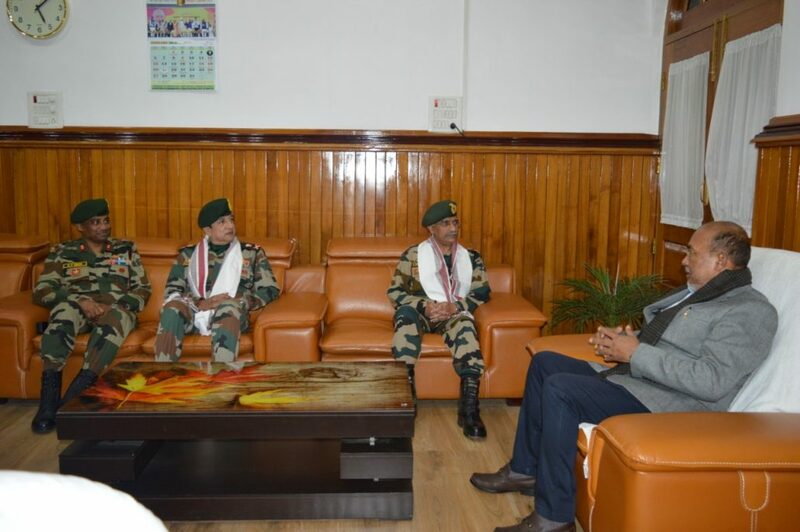 Later in the day, the Army commander also interacted with the chief minister N Biren Singh and discussed the security situation in Manipur, it added. It may be worth mentioning here that the visiting general was received by GOC lieutenant general Rajeev Sirohi of Spear Corps on arrival at Imphal airport on Monday. Lieutenant general Naravane who was briefed on the overall security situation in Manipur by the concerned officers, expressed his satisfaction on the operational preparedness of the field formations and complemented the troops for ensuring peace and tranquility in the state, reports said. The Army commander will also review the progress of various infrastructure projects being undertaken by Army and Assam Rifles units, the release further added.